This weeks HAB flight by St Andrews Academy in Paisley. proved that sometimes you need a little luck to safely recover your payload. 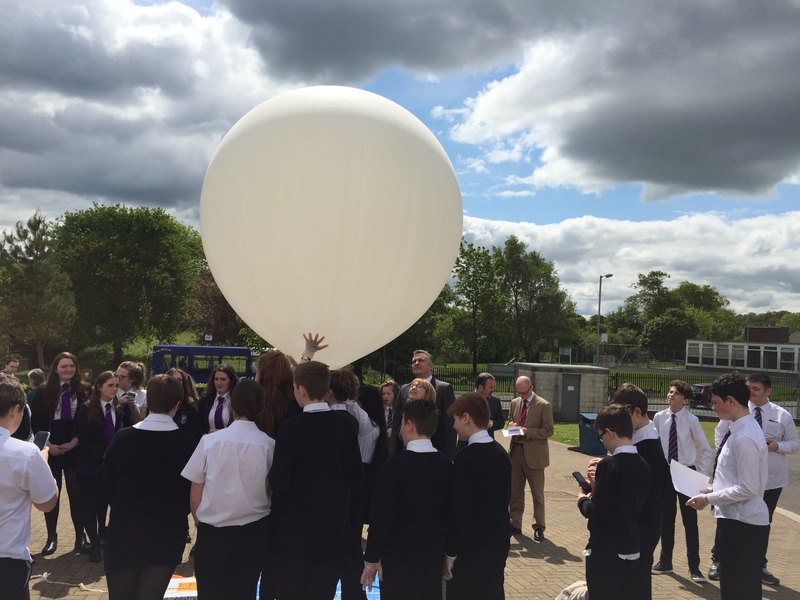 Supported by Near Space Photography, St Andrews Academy in Scotland launched their STEM HAB project on Monday 8th June. Mr Henry, the school head teacher described the successful launch. Mr Henry said, “The launch went well, lovely weather and quite still at ground level. We pretty much emptied the helium tank, gauge was reading zero. The lift looked good and it quickly gained altitude. The school students loved it and we had some kids from the local Additional Support Needs school over as well. 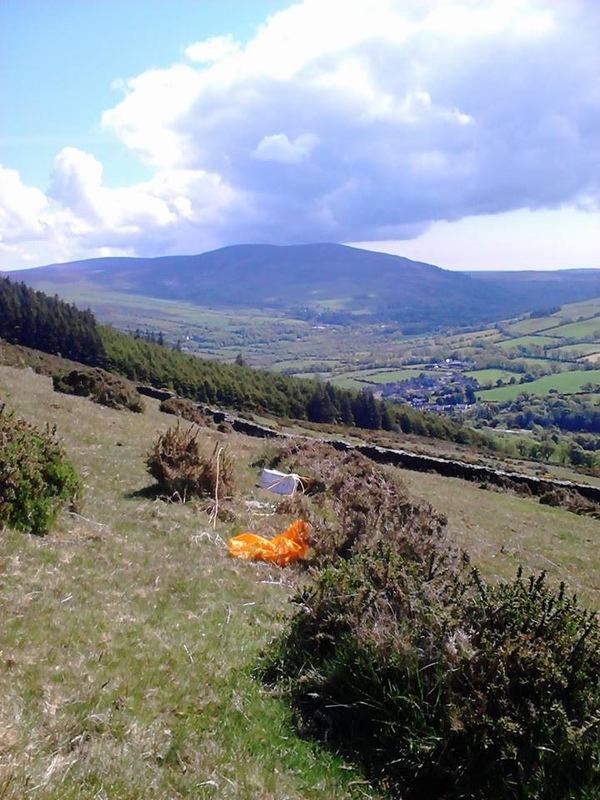 ” The weather balloon was launched at 12:30 but unfortunately the balloon did not rise to the planned ascent rate. The balloon was expected to land in the north side of Galloway Forest but the balloon kept on rising over the forest and headed out to sea just after 3pm. We all thought the payload was lost. Then at 6pm a miracle. 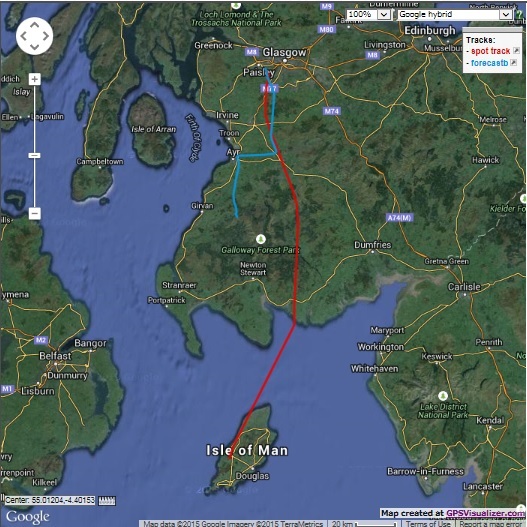 the SPOT tracker checked in on it’s way down over the Isle of Man. This was truly good fortune. After 20 tense minutes where the payload descended perilously close to the west coast of man, the payload finally came to rest close to the village of St John and the famous monument of Tynwald. It was truly a miracle!